Darius Daughtry is a man of both. Darius uses his art to empower those stuck in silence. Empowering them to speak up, speak out, and share their perspectives on life. It’s not an easy thing to do. It takes a lot of bravery to say your peace without sugar coating the controversy. But art is controversy. Without opinion we are lifeless. And we are lifeless… some of us — too many of us. Our generation hides behind our computer screens and mobiles devices. We curate, edit, and carefully refine our every opinion, every photo, every video to optimize for artificial applause. We tiptoe around syllables. We cast filters on our lives. We hardly share what’s true[ly you]. We don’t say this, we don’t say that for fear that it might lack…not meaning…not authenticity, but likes. Because that is how we measure our voice today, isn’t it? That is how we grade our perspectives on life, sadly. We moderate. We moderate. We moderate. We tone down our lives to appeal to strangers — as many as possible — and hope they toss a “like” in our cup while scrolling by. But there are those who say their peace — all of it — and listen to yours in return — all of it. Call them crusaders if you want. One thing is certain, they are enlightened. They understand that humanity’s greatest asset is the mind; that no two individuals think identically; that we are all free to say and think, to learn and interpret, to be heard and to listen. Introducing your new host of Respec the Mic!, Darius Daughtry. 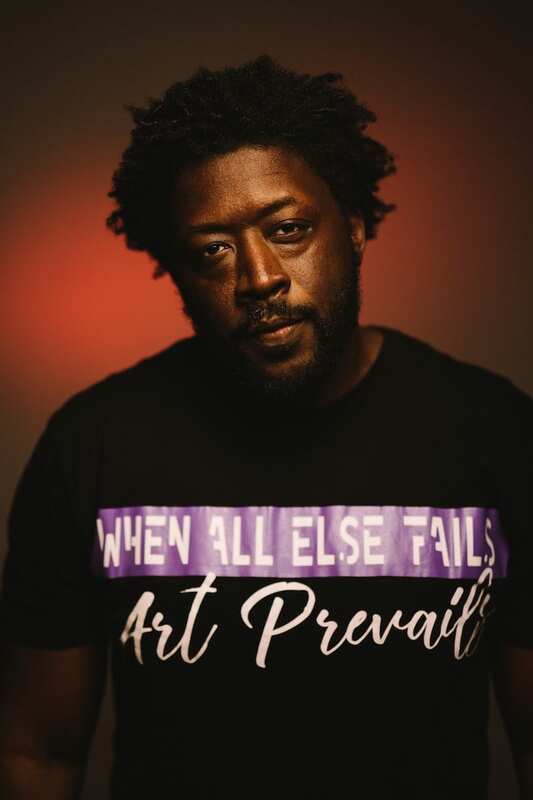 Dairus Daughtry is a guiding voice from the Art Prevails Project, which seeks to inspire and encourage artistic expression in its most enlightened forms. The Art Prevails Project is a creative collective of poets, singers, writers, dancers, and performers. Through art, they strive to teach us that it is alright to embrace our unique perspectives on life and to share those perspectives in the hopes of creating positive change on a local and global scale. If you too believe in the power of art, first check out Art Prevails Project on Instagram. Then join us Next Door on the last Thursday of the month for Respec the Mic! a monthly open mic night where we invite local artists to step into the spotlight to share their perspectives. next post: Is Kylie Jenner Truly ‘Self-Made’?